Create a viable ecosystem by implementing an “integrated approach” by prioritizing initiatives that can have a catalytic effect to develop competency based framework of world class excellence for skill development and quality assurance of personnel in the Telecom sector. 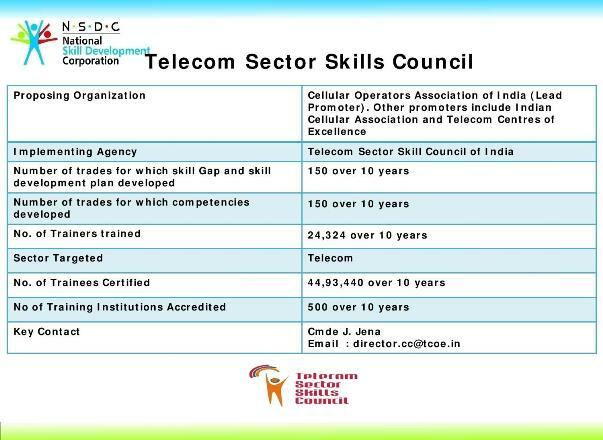 Participate in regional and international vocational telecom sector development initiatives. Waiting opportunity to get understanding of memordom with NSDC for training the youth & workers at Bidar (Karnataka state ).